Fishing for cod off the coast of Husøy. 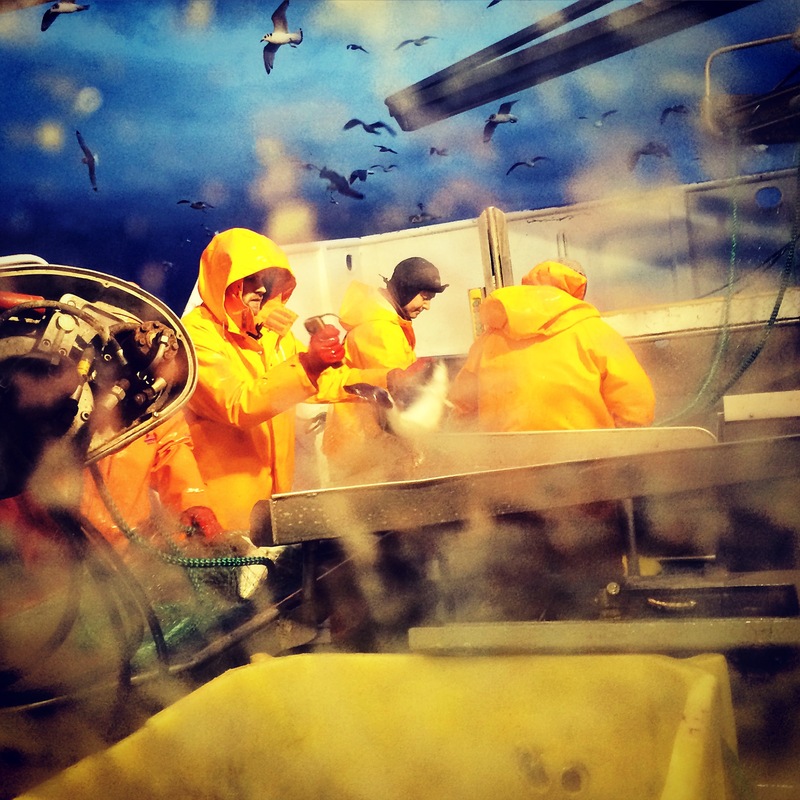 In January three researchers from the work package working with technologies for improved catch handling in the QualiFish project spent five days on board a gillnetting vessel evaluating the effects of hauling method and gillnet material on the quality of coastal cod. Gillnets are one of the most important fishing tools in the fisheries of North Atlantic cod and coastal cod in Norway. However, there is a lack of available studies on the effect gillnet material and available technologies have on catch quality. Unsatisfactory quality of gillnetted cod has long been a challenge in the whitefish industry, and some in the fish processing industry have even stopped or reduced their purchases of gillnetted fish. However, where does the quality deterioration arise? Is it during the catching procedure? During the handling of the fish? Or, perhaps during the processing on land? It should be the quality of the catch and not the catching method that should influence the buyers. Also, others claim that if the fishermen tends to their nets in according the regulations and handles the fish correctly on board, the gillnetted fish is of the same quality as fish caught with other fishing tools. Thus, in this experiment the researchers wanted to investigate selected parts of the equipment to see how it affected the quality deterioration of cod. During the experiment, hauling with a traditional toothed net stopper was compared with a rubberized vertical roller, and monfilament net material (0.6 mm) was compared with the somewhat thicker and softer multimono net material (1.5 mm * 6). For five consecutive days four gillnet chains, each consisting of 25 nets, were cast in pairs in two different areas at a depth of 30 meters, and left to soak for 24 hours before hauling. During the field experiment, a total of 201 large cod with a weight around 8-10 kg and a length of around 1 meter were hauled on board. The fish from each chain were bled in running seawater for half an hour before they were analysed for external damages like tool marks, pressure injuries and fin damages. Later on, the fish were filleted and subjected sensory evaluation looking for quality defects like visible bloodspots, gaping and redness of the fillets. The fillets were also photographed for subsequent evaluation of fillet colour with machine vision. The evaluations were done to help illustrate how the selected hauling methods and net materials affected the quality of gillnetted coastal cod. The results showed that there were very little or no difference in the quality of round fish between the cod caught with the different net and hauling constructions. Cod caught with multimono net material did however exhibit a higher survival rate compared to the fish caught with the monofilament gillnets. Further, the fillets from the multimono nets gave lighter and whiter fillets compared to the monofilament nets. Over all the fillets were white and of a good quality. However, the results are still being processed, and it is expected that an article on the experiments will be published next year.